Gallium and Bismuth–materials made familiar to most of us through studying the Periodic Table. Today, both of these silvery metals find their way into low-melting alloys and via them, several everyday objects. Gallium–owed to its extremely low melting point (29.76 °C)–is often used in thermometers as a non-toxic and more environmentally friendly alternative to mercury. Its alloys also make their way to semiconductors, electronic circuits, and LEDs. Bismuth, on the other hand, melds with Tin and Cadmium to create alloys suited for fire detectors and extinguishers. Its compounds become ingredients in cosmetics, pigments, and pharmaceutical products. Beyond these functional applications though, what are the inherent and unique qualities of these two metals? And what intuitive appeal lies in them? London based designer Sara Chyan's work gives us an opportunity to pose and answer this question. Gallium transforms from a brittle solid to a silvery, flowing liquid with extremely low inputs of heat–at temperatures that are above room temperature but below that of the human body. In the case of Bismuth, it has a very high melting point but exhibits a stunning response to heat by way of its oxidation–producing a thin iridescent, rainbow-hued film on its surface. Both these materials possess rich metamorphic qualities–particularly as they respond to heat. It is these qualities that jewelry designer Sara Chyan capitalizes on, and uses to reflect and respond to the emotional state of a wearer or user, with temperature as her tool. 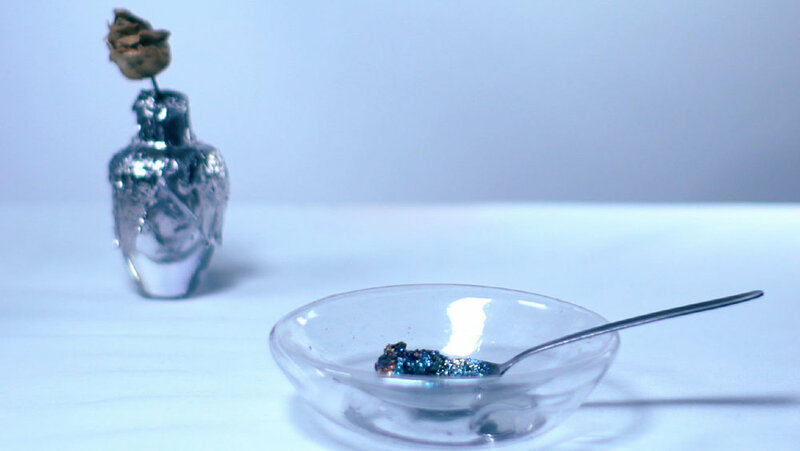 It is these transitions–from solid to liquid state (and back again), and from mono-colored to iridescent–that form the core of Chyan's 'Emotional Jewelry' project, and its experience. Royal College of Art graduate Sara Chyan believes "that jewelry is not merely an ornament, rather a medium for expressing one's individuality." This belief manifests itself in all of her works, which engage with and highlight parts of the human body in intimate and sensory ways. Her projects boast unusual curving forms and clean geometric shapes which align themselves subtly with the body. They display rich textures and her investigation into materials as diverse as Sterling Silver, Copper, Goat Hair, Pumice, Resin, Magnetic Tape, Swarovski and metals such as Bismuth and Gallium, as seen here. The Gallium-focussed works in her project 'Emotional Jewelry' include wearable pieces such as bangles and cuffs, along with household items such as tumblers, vases, and bowls–each consisting of Gallium encased in double-layered glass. 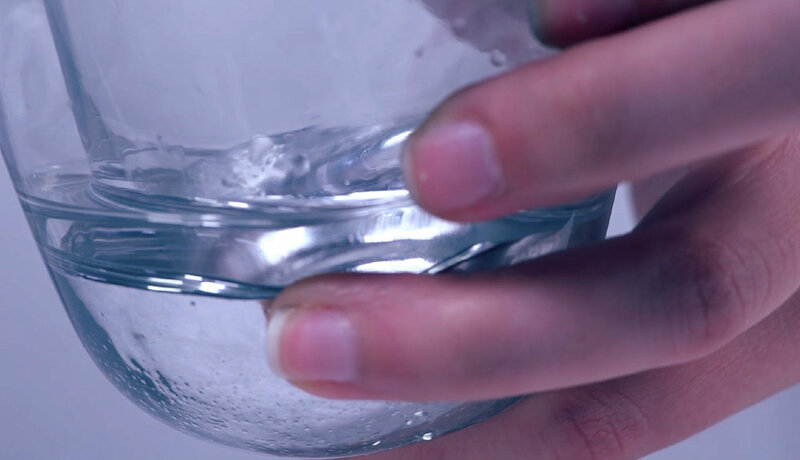 When there is contact with the human body, changing temperature (and mood), or hot liquids and substances inside the vessels, the gallium inside these pieces shifts from solid to liquid state, and then back again. The Bismuth-focussed pieces proudly display a crackly, crystallized and iridescent surface, in objects such as rings, bangles, pendants and more sculptural artifacts. Overall, Chyan's project is an eye-opener to the material qualities, and sensorial experiences tucked away inside these two metals–all of which are unseen and ignored when they exist as fused alloys and functional compounds. Readers, If you would like to learn more about Sara Chyan's work, do follow this link to her website.